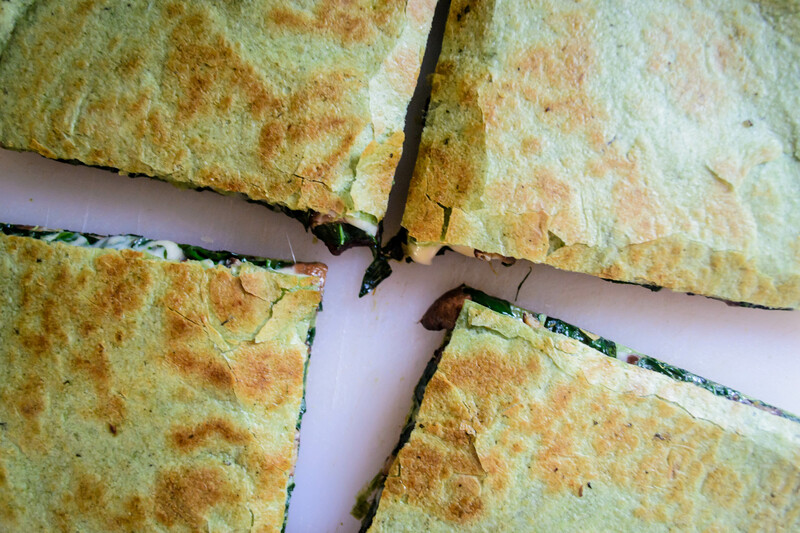 Mushroom Kale Quesadillas | "blackberry-eating in late September"
Because I have the habit of wanting to impress you, the simple, day-to-day dinners I make often don’t end up here because they don’t strike me as “blog-worthy,” as I’m fond of saying. But much as I want to blow you away all the time, this is a silly habit. The point is not over-the-top impressive, outrageously original, faultlessly styled plates. At least it shouldn’t be. The point is good food. And yet because I get sucked in by things like Pinterest and Tastegawking and Foodspotter and vice versa, we had these mushroom kale quesadillas three or four times in a month because they were so damn delicious I couldn’t stop thinking about them before I realized they might be something I should share with you. Even though they are simple. Even though they are just quesadillas. Because, seriously? Mushrooms. Kale. Cheese. Toasted tortillas. What a combination! Quesadillas are, weirdly enough, a kind of touchstone for me. If I wrote one of those memoir/cookbook mash-ups, a quesadilla would have to find its way in there somewhere, because when I stop and think about it for three seconds, my life contains a number of memory-charged quesadilla incidents. Example: when my family moved from Southern to Northern California shortly after I graduated from high school, some of the first ingredients in our new fridge were tortillas, cheddar, and salsa. As my mom unpacked the kitchen and the movers unloaded box after box after box from the massive truck into our new garage, we realized the morning had wasted thin and we were starving. Cue Chelsea at the stove with a skillet and spatula rinsed free of box dust seconds ago, flipping quesadillas. They weren’t magnificent, because they were just cheddar folded inside a flour tortilla, but when the cheese melted and sizzled out the sides, and the fat hidden in that deceptively dry flour tortilla browned in huge freckles all over the surface, no one wanted anything else for lunch, including the movers. We used up the whole package of tortillas and most of the cheese, but it was nice to watch everyone unfolding the fried half-moons and pouring liberal doses of salsa over the molten orange goo inside. Quesadillas are best when you don’t think about them too much. What I mean is, they are best when they contain a quantity of cheese you’d rather not cop to. During our second year of living together, my college roommate K. wondered briefly why she liked my quesadillas so much more than hers. Part of it was undeniably the fact that food tastes so much better when someone makes it for you. But part of it, we determined, was that I used more cheese than she did. Great blocks of monterey jack sacrificed themselves to feed our quesadilla longing, and K. placed me permanently in charge of quesadilla production, as long as I never told her how much cheese I was folding inside. In those days, we upgraded from spooning a scoop up jarred salsa inside to smashing a velvet green half of avocado over the top, and maybe a luscious scoop of sour cream. These lunches were probably, now that I think about it, the base of much of my weight gain that year (the post-break-up pints of Godiva ice cream were likely the other culprits). But in retrospect, my “sophomore sixteen” is so much less important than how good those quesadillas were with their different kinds of softness and the crisp, almost oily tortilla in between. 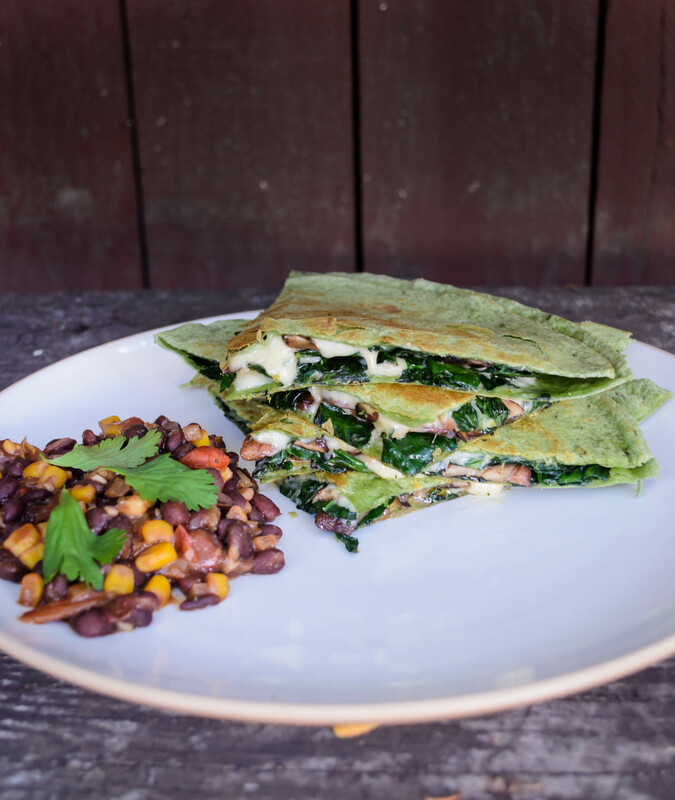 Though I’m still on board with a simple monterey jack quesadilla with avocado, guacamole, or salsa of any kind smeared over the top, I gradually realized quesadillas could also be employed to funnel vegetables into us. 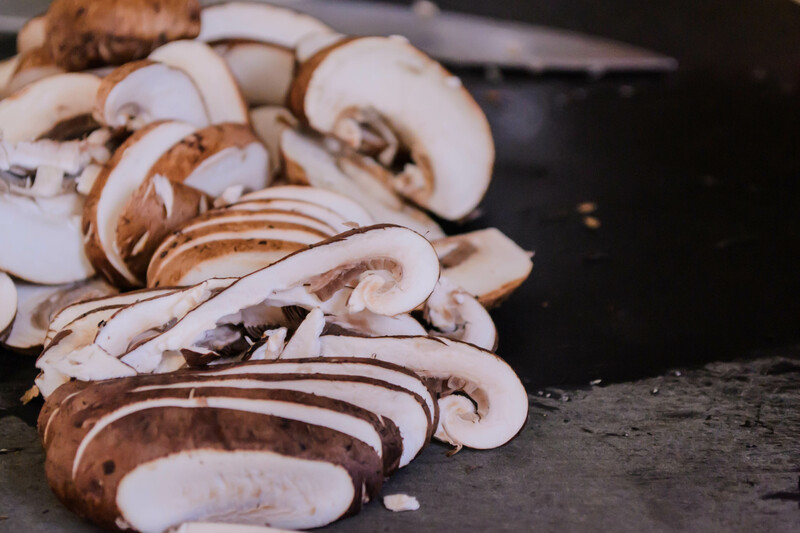 I don’t skimp on the cheese – no sense forgetting what I’ve learned – but now I jam in layers of corn or spinach or, in this version, thinly sliced mushrooms pan roasted until golden and almost crisp, folded together with torn leaves of kale barely wilted with some olive oil and salt. In quantity, cheese is non-negotiable, but the variety you mound on is a personal choice. I’m partial these days to pepperjack for that lovely extra kick, but regular, dependable old monterey jack, or a combination of jack and fontina or gouda would also be glorious. Here I’m using spinach tortillas in a combination vain attempt to make these seem healthier, and because I just dig the flavor, but you could use plain flour tortillas, or even corn, though they will obviously require less filling. 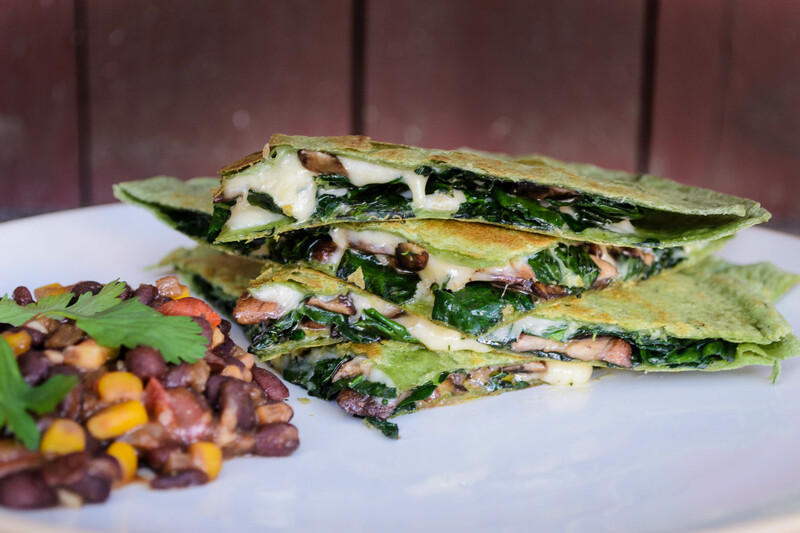 I’m not going to make the claim that these quesadillas will turn a mushroom and kale hater into a mushroom and kale lover, because we’re really not hiding the vegetables; we’re celebrating the way they complement the cheese and toasty tortilla. But they might turn a mushroom tolerator into an almost-fan, and someone who is tired of kale might find in them a gasp of fresh breath. And they will without question provide you with a quick, delicious dinner item that is absolutely perfect with a side of these beer braised beans. Heat the 2 tablespoons olive oil over medium heat until glistening. 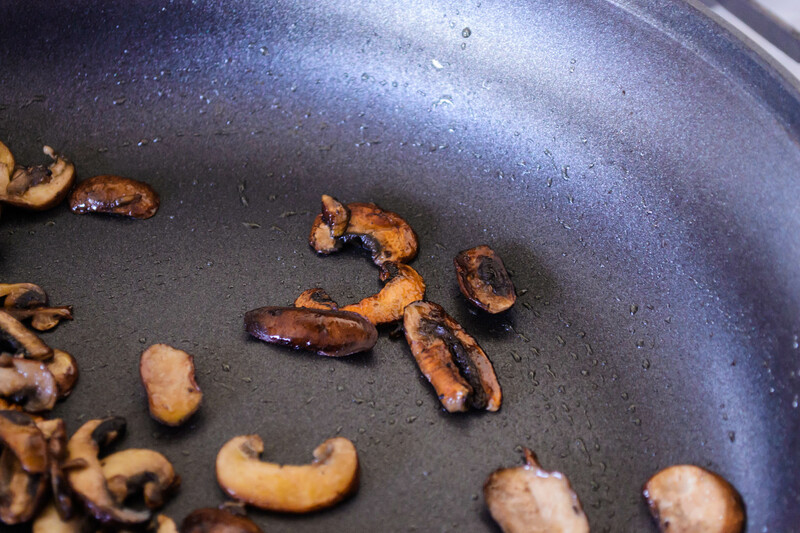 Add the sliced mushrooms and sauté over medium for 8-10 minutes, until they are nicely golden and some are barely crisp. Add the kale to the cooked mushrooms and sauté for another 3-4 minutes until barely wilted but still bright green; season with salt and pepper if desired. Remove from heat and set aside to cool slightly. To build the quesadillas, lay out the bottom tortilla and scatter ⅔ cup of the cheese evenly across it. Add half the mushroom and kale mixture, then scatter ⅓ cup of cheese on top of the vegetables. Top with the second tortilla. This construction – cheese, vegetables, cheese – holds in the vegetables because the cheese melts on both sides of them, binding them inside. This makes for easier, cleaner flipping. Cook the quesadilla in a dry pan (I use the same one I cooked the mushrooms and kale in, just wiped clean with a paper towel) over medium to medium-high heat until the bottom tortilla is nicely browned (or slightly charred, if you like that), and the bottom layer of cheese is well melted; 3-4 minutes. Flip and repeat. While the first quesadilla cooks, build the second one as described above. When both sides of the quesadilla are nicely browned and crisp, remove from heat. 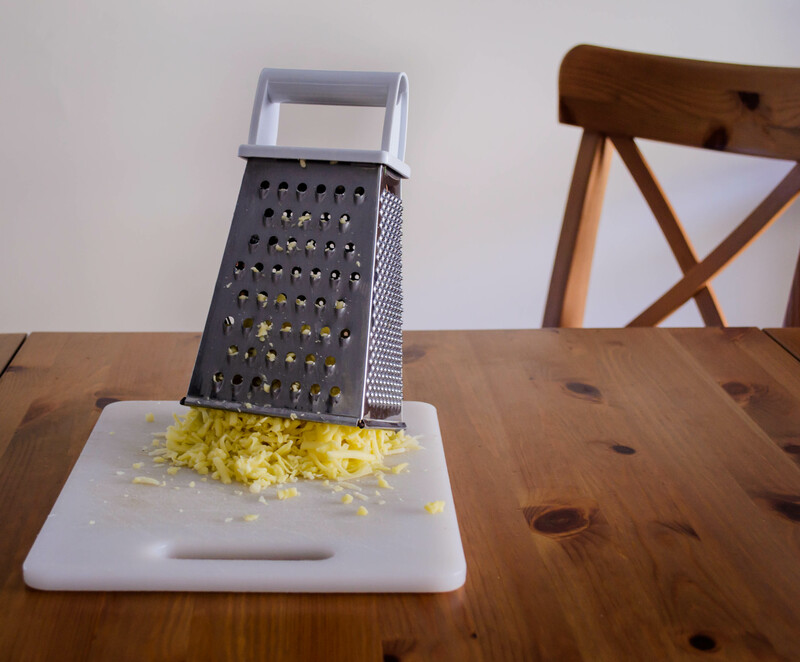 Wait 1-2 minutes before slicing to avoid losing too much cheese. Repeat with second and all subsequent quesadillas. Repeat with second and all subsequent quesadillas. To serve, cut in quarters (or smaller wedges) and offer with guacamole, sour cream, salsa, or just bare and crisp and oozing and perfect. This entry was posted in Cheese, Fried, party food, Recipes, vegetarian, Veggies and tagged kale, mushrooms, pepperjack, quesadillas by Chelsea. Bookmark the permalink. Simply wonderful quesadillas. I have a feeling after making these I will be making them 4 or 5 times a month too! Lovely blog. Thanks! I hope you do make them – as soon as I posted my husband said he wanted them for dinner AGAIN. Guess they must be winners! Let’s make these quesadillas when I’m visiting next month. I find myself salivating at the description and the fabulous photo you took.